Awesome. I had a Syma X5C drone for a few months but sold it as I would prefer a first person view. Question – what’s the maximum range that the drone can travel from the controller and maintain a good signal? The range for the visual feed will drop out before the controller range. This is so that user can maintain control even if the first person view feed is lost. The visual feed range is around 250-300 meters. This is significantly less than larger drones as we do not want our users to fly long distances. 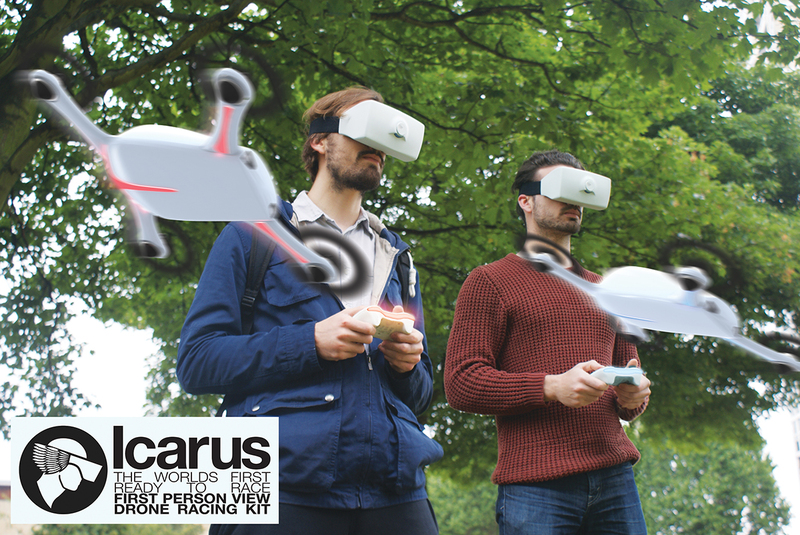 One of the main design aspects for the Icarus Kit is safety and reducing the range forces the user to create races in close proximity to the pilots and spotters and therefore enable the organisers of the race to safely manage it.